I spent a good chunk of the last day of my 35th year doing what any other good straight male would do: I changed over my closet from winter to summer. (Yes, that was sarcasm.) I kinda had to do this, now that the temperatures have gotten consistently warmer and all. 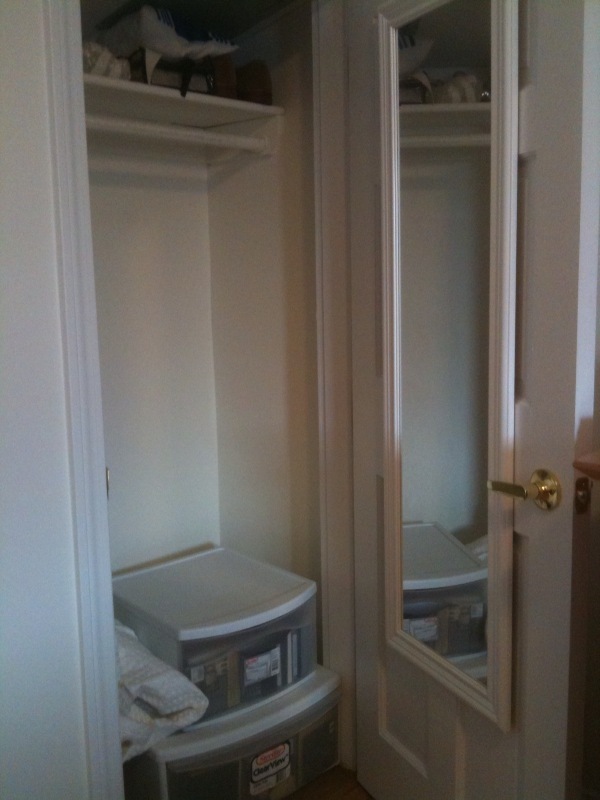 An unfortunate truth about my condo is that my closets are too small to keep all my clothes upstairs. But the other truth is that I’m a bit of a pack rat (as has been well documented on this blog), so every now and then it’s good for me to go through my stuff, see what I’ve been hanging on to for way too long, and just get rid of anything I haven’t worn or that’s weathered and old. You’d be surprised at how many shirts and sweaters I just never wore all winter, despite thinking I would. Or how many of the same color shirts I owned. And some things I just wore too often and needed to get rid of them. And, I’ve been buying some new clothes lately that I needed to make room for. I guess deep down, I wanted to do this today because I thought there was something metaphorical about cleaning up and renewing myself, and purging some old and unwanted belongings, the day before I turn another year older. And what the hell — yes, I also thought I’d get a blog post out of it (and given how few and far between they’ve been lately, that was a bonus). Cliches and cheesiness aside, it felt good to do this. Not only did I get rid of a bunch of shirts, tshirts, and sweaters, but I also cleaned my apartment in the process and got in some exercise (walking a heavy tub up and down the stairs to and from my storage unit wasn’t easy). And, another bonus, I have a nice donation to make to an organization like Big Brothers Big Sisters. So now I’m sitting here in a cleaner apartment, with less than I had at the start of the weekend, and I’m feeling good about waking up in the morning.